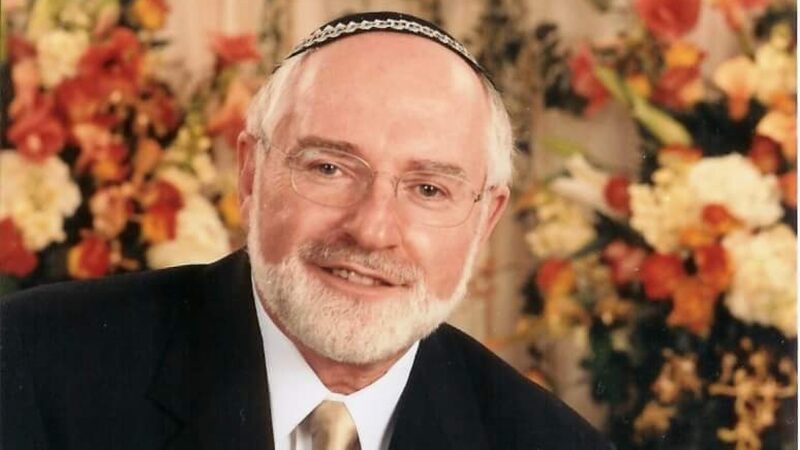 Rabbi Dr. Bernhard Rosenberg (http://bernhardrosenberg.com/biography/), Emeritus Congregation Beth-El, in Edison, New Jersey, is not a mainstream Rabbi or a Jew. He supports conservatism, fairness, love of country and most of all the right of Jews to be free of anti-Semitic attacks and the public discrimination proclivity. Rabbi Rosenberg received his rabbinical ordination and Doctorate of Education from Yeshiva University in New York. He also possesses A.A., B.A., M.A., and M.S. degrees in communication and education, and a Doctor of Divinity from The Jewish Theological Seminary, New York. He taught at Rutgers University, in New Jersey, and Yeshiva University in New York. Already when Donald Trump ran in the primaries, Rabbi Rosenberg had faith not only that Trump will be a good president for all Americans, but he will turn over the hostile tide President Obama established against the State of Israel. To show his support, Rabbi Rosenberg met with Trump’s team in the Trump’s Tower, in Manhattan, New York City, in order to be assured his vote is the right choice. The follow-up was founding the ‘Rabbis for Trump’ group. As a Rabbi and a teacher at Rutgers University, Rabbi Rosenberg was harassed and threatened by a former student, who used anti-Semitic slurs and name calling against him because he received B+ grade. The media and Jewish organizations remained silent. Till today he did not receive a single call from the university president’s office or its communications department, where he taught. The Rutgers police investigation of this case remains unconcluded. For years Rabbi Rosenberg has been reporting about anti-Semitism and anti-Zionism at Rutgers U to no avail. Rabbi Rosenberg believes that behind the silence and oblivion hide the fashionable politically correct behavior. People prefer to stand idly by in the face of wrong and evil. Sometimes till it is too late. Rabbi Rosenberg is the son of Holocaust survivors, Jewish parents who escaped from being murdered by the Nazis during World War Two. In this mass murder action the Nazis and their collaborators murdered one out of three Jews who lived in the world at that time. “My parents were Jacob and Rachel Rosenberg. During the war Rachel was a slave labor in a Nazi munitions factory. Later on she was sent to Buchenwald Concentration Camp. My father, Jacob Rosenberg, was sent to Auschwitz. Their entire families, except for my father’s half-sister and niece were murdered, including my father’s first wife and children,” Rabbi Rosenberg tells me in few sentences his background, the base to his being. Rabbi Rosenberg wakes up each day with a sweat. He will not keep silence in light of any anti-Semitic incident. His worries have now doubled with the Democrat Party veering toward anti-Israel polity and the nomination of three congresswomen who possess anti-Israel dogma, which is collective anti-Semitism. If only for his parents’ sake alone, Rabbi Rosenberg fights antisemitism and discrimination of Jews with every bone and nerve he possess. Putting his dogma on record Rabbi Rosenberg’s voice is loud and clear. He is a prolific writer, and very active, expressing himself in the media, social media (https://www.facebook.com/bernhard.rosenberg.7…), TV, radio, YouTube videos and speaking engagements that helps him to combat anti-Semitism wherever it rears its ugly head. As a public speaker Rabbi Rosenberg engages the public in topics that discuss the Holocaust, the genesis of the “Palestinian people” and their Palestinian Authority rule, and biblical and Jewish ethos. Rabbi Rosenberg is a leader, not afraid to challenge the status quo. He believes that another era that has culminated in the Holocaust is at the doorsteps of today’s humanity. Sadly, he also believes that many Jews are part of the problem just as they were when they supported and helped Hitler in his early days of rise to power. “Politically Left leaning rabbis and the Jewish establishment appease the adversaries of the Jewish people. They join in marches that express their dislike of Jews while claiming liberalism tenet,” he expresses clear disappointment in his own people. Rabbi Rosenberg welcomes truth and could care less if some call him a bigot while revealing the truth. “Jews are beaten up by black men and the black community and our leadership is silent,” but not me, he underscores. “Shame on them. They must go into the black people’s neighborhoods, en-masse, and show the might of truth,” Rabbi Rosenberg goes into his lesson of how to fight back. “Do not tell me rallies are old fashion. Everyone, except the Jews, have them,” he adds in response to the Jewish organizations that hardly ever hold a protest rally, when such rally is due. Is Rabbi Rosenberg a hero? Not at all. Everyone should do what he is doing. Not standing idly by! The truth is that there should be many Rabbis like Rabbi Rosenberg! A rabbi is a teacher and a leader, not an appeaser and a shushing force. Bernhard Rosenberg, 70-year-old, born in 1948, in a Displaced Persons’ Camp, in Regensburg, Germany, arrived to America at age 2 and was raised in Kansas City, Missouri. He is a Jewish rebel in the good sense of the word. The kind of Mordechai Anielewicz rebel, the leader of the Jewish Fighting Organization, which led the Warsaw Ghetto Uprising; the largest Jewish insurrection during the Second World War, which inspired further rebellions in both ghettos and Nazi extermination camps. “Never Again,” the slogan that followed the Holocaust mass murder of Jews, means never again and he sure acts his part with the courage of his conviction and his pride as a Jew.